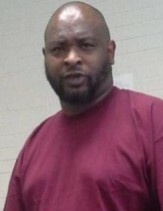 Charles “Chucky” Vernel Henderson Threadgill, 45, passed away March 31, 2019. He was born in Idabel September 26, 1973 the son of Dorothy Moore (Texarkana, Texas) and the son of Woodrow Threadgill (Dekalb, Texas). Charles was a 1991 graduate of Haworth High School. Charles will be remembered for his great sense of humor and his ability to make everyone laugh. He enjoyed music and was an avid Green Bay Packers fan. Charles is survived by his mother, Dorothy Moore of Texarkana, Texas; father, Woodrow and Georgia Threadgill; special former step-mom, Sarah Threadgill; son, Ny’kian Raines; daughters, Brittany Threadgill, Kiara Lewis and Angel Grayson; sisters, Daffney Henderson and Cellina Threadgill; a host of other sisters and brothers; numerous nieces, nephews, other relatives and friends. A celebration of life service will be held at 1:00 p.m. Saturday, April, 13, 2019 at the Community Baptist Church in Tom with Sister Glenda Threadgill officiating. Interment will follow in the French Cemetery in Foreman, Arkansas.